Thank you all for a successful event! Visit the conference page for the program and description. See also photographs that were taken at the conference (Credit: Ana Lucia Lobos). The Fortier Chair in International Arbitration and International Commercial Law, the Private Justice and the Rule of Law research group, and ILA Canada welcomed Senior Wainwright Fellow Professor emerita Catherine Kessedjian, Paris II. In 2017, there is no doubt that business entities must engage in “responsible business conduct”. How can they achieve this? What means do they have to reach this goal? What are the consequences if they fail to respect the principles regulating responsible business conduct? Professor Kessedjian examined these questions for us. The Fortier Chair in International Arbitration and Commercial Law, and the Private Justice and the Rule of Law research group welcomed Jeffery Commission, BCL'01, LLB'01, Senior Counsel, Vannin Capital, a company that provides dispute resolution funding solutions to claimants and law firms in high-value commercial claims. Originally designed to support companies that did not have the means to pursue claims, the use of third-party funding has broadened; initially focused on investor-state arbitration, it is now spreading to commercial international arbitration. The Fortier Chairs offers its warmest congratulations the four winners of the Nappert Prize! 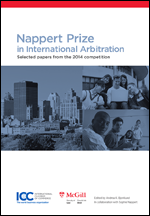 The Nappert Symposium took place October 19, 2016, during which the winners of the 2016 Nappert Prize in International Arbitration presented their papers. José Alvarez: Is the Trans-Pacific Partnership’s Investment Chapter the New ‘Gold Standard’? The L. Yves Fortier Chair in International Commercial Law and International Arbitration, the Private Justice and the Rule of Law research group, and the McGill Arbitration Student Society were delighted to welcome José Enrique Alvarez, Herbert & Rose Rubin Professor of International Law, NYU. Does the Investor-State Dispute System in the Canada-EU Trade Agreement Make Sense? La professeure Andrea Kay Bjorklund et Me Katia Yannaca-Small ont discuté du système de règlement des différends États-Investisseurs dans l’Accord économique et commercial global Canada-Union Européenne. La conférence était organisée par L’Association de droit international (International Law Association - ILA) et l'Association du Barreau canadien, division Québec. New publication from Professors Fabien Gélinas & Andrea Bjorklund! 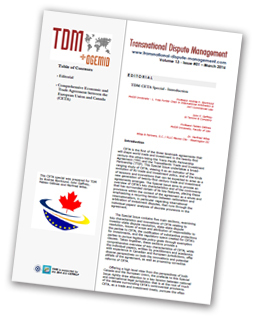 15 April 2016: We are happy to announce the publication of Transnational Dispute Management Comprehensive Economic and Trade Agreement between the European Union and Canada (CETA), a special issue for Transnational Dispute Management. The McGill Journal of Dispute Resolution and the McGill Arbitration Student Society organised a symposium on Evidence in International Arbitration: Rules & Practices. Three arbitration practitioners discussed rules of evidence in the context of international arbitration. Following the presentations, there was a 30-minute moderated Q&A. Margaret Ryan (Shearman & Sterling LLP): "Preparing Fact Witness Statements in International Arbitration"
Anne Hoffmann (Al Tamimi & Co.): "Expert Evidence in International Arbitration"
Stephen Drymer (Woods LLP): "The New IBA Guidelines on the Taking of Evidence"
La séance de questions était par la professeure Andrea Bjorklund (Chaire L. Yves Fortier en arbitrage international - Université McGill). A Dispute Resolution Series talk with Anne Hoffmann, Al Tamimi & Co., Dubai, in Professor Andrea Bjorklund's Resolution of International Disputes course. RSVP: kuzi.charamba [at] mail.mcgill.ca. Me Annie Lespérance, Cabinet Yves Fortier, Montreal. Annie Lespérance practices in the area of international arbitration. 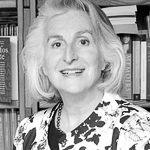 Prior to joining Cabinet Yves Fortier, Ms. Lespérance acted as Assistant Legal Counsel at the Permanent Court of Arbitration (PCA) in The Hague where she provided legal and administrative support to arbitral tribunals and parties in proceedings administered by the PCA concerning State-to- State, investor-State and international commercial disputes. Previously, Ms. Lespérance worked as a corporate lawyer at Stikeman Elliott LLP. Ms. Yasmine Lahlou, Partner, Chaffetz Lindsey LLP, New York. Yasmine Lahlou has 13 years of experience of international arbitration and litigation and has been with Chaffetz Lindsey since 2009. She advises and represents U.S. and international clients on a range of commercial disputes, in both international arbitration and litigation proceedings. Professor Andrea Bjorklund, Yves Fortier Chair in International Arbitration and International Commercial Law, moderated a panel organized by the Asia Pacific Law Association of McGill (APLAM) to bring together perspectives from academia, business and law on the topic of business between Canada and China. - Me Marie-Pierre Grenier, Director, Corporate Monitorship, Ethics & Compliance at SNC-Lavalin. 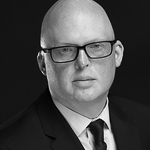 Me Grenier will be explaining the challenges of doing business in China from a compliance standpoint. - Mr. Peter Kruyt, Vice-President of Power Corporation Canada. Mr. Kruyt will be discussing his own experience in organizing trade deals with Chinese companies for PowerCorp. - Professor Yu Guanghua, a Li Ka Shing visiting professor from Hong Kong University who currently teaching Chinese Business Law at McGill. Prof. Yu will be discussing Foreign Direct Investments in China and the effects of Chinese politics on international business with China. The Chair was pleased host Prof. Christina Binder, Section for International Law and International Relation, University of Vienna, from August 15 to September 4, 2015. Prof. Binder gave a talk on September 4 on The Intersection Between Investment Law and Indigenous Peoples. The ICC, in cooperation with McGill University, has released a collection of the best articles written by participants of the Nappert Prize competition. Edited by Professor Andrea Bjorklund, the collection is composed of nine articles chosen by experienced practitioners and arbitration experts from the inaugural Nappert Prize Competition in International Arbitration organized by McGill University's Faculty of Law in 2014. The McGill Faculty of Law, together with partners from the Charles D. Gonthier Legacy Committee, was honoured to host the Gonthier Memorial Lecture which will take place at the McGill University Faculty of Law and Faculty Club Ballroom in Montreal, Canada, on Friday, May 22, 2015. For the inaugural Gonthier Lecture, we had the pleasure of welcoming His Excellency Judge James Crawford, AC, recently appointed to the International Court of Justice; former Whewell Professor of International Law at the University of Cambridge and Chair of the University of Cambridge Faculty of Law; author of The Creation of States in International Law’and Chance, Order, Change: The Course of International Law among other leading books; and Counsel in the resolution of over 100 of the most important international disputes of our century. HE Judge Crawford shall speak on the role of international law in securing a just and sustainable world, into the future. A special Welcome Reception, co-hosted by several Canadian law faculties and law firms together with several key student-led law journals, kicked off the evening at McGill's Faculty of Law. The Gonthier Lecture of His Excellency Judge Crawford was then held at the Faculty Club of McGill University, in the main Ballroom. Directly following the lecture, there was a charitable Banquet Dinner. Dean Daniel Jutras. Justice James Crawford. The lecture took place in the Ballroom of McGill's Faculty Club. The Private Justice and the Rule of Law Research Group and the McGill Arbitration Student Society organized two-day Symposium. The first day featured an arbitral moot opposing McGill and Queen's, and the second day, a panel with noted arbitration experts. Vienna Arbitration Days is the leading arbitration conference in Austria, which the Fortier Chair attended this year. Professor Andrea Bjorklund spoke on panel examining Confidentiality vs. Transparency. The event took place at the beautiful Palais Niederösterreich, in Vienna. In 2014, the Fortier Chair also participated in the organization of the Nappert Prize Symposium and the CETA conference. Update: The McGill International Journal of Sustainable Development Law and Policy (JSDLP) sat down with three experts at the CETA conference to ask questions on the new Canada-Europe free trade agreement, and get their perspectives on what impacts the treaty would have on the environment. You can watch the interview on Youtube. 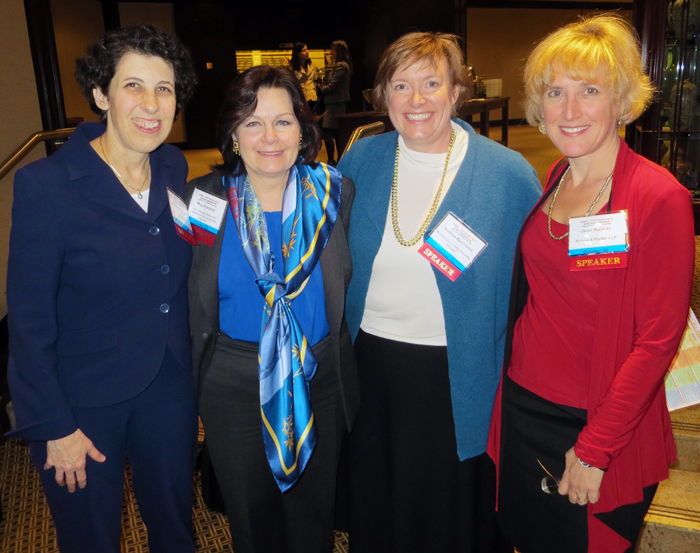 From the October 2013 ICC Conference in Toronto: Anne Marie Whitesell, Georgetown University Law Center; Meg Kinnear, Secretary-General, ICSID; Andrea Bjorklund, Fortier Chair in International Arbitration and Commercial Law; and Jean Kalicki, Arnold & Porter, Washington DC & New York.